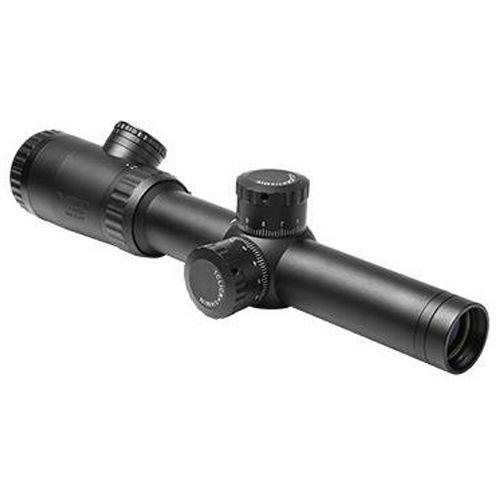 Buy Cheap Ncstar VEVOFP11424G Vism Evolution Series P4 Sniper Full Size Rifle Scope |ReplicaAirguns.ca | New Website! High Resolution Glass for Excellent Performance in a variety of field conditions. Glass Etched Reticle with Blue and Green illumination. Waterproof, Shockproof, Fogproof – capable of withstanding the harshest surroundings. Hard Anodized Aircraft Grade Aluminum Body. Available magnifications: 1.1-4x24, 2.5-10x50, 4-16x50, and 6-24x50. Available reticles: Mil-Dot, Cross-Dot, or P4 Sniper. Includes Extra Battery, See-Through Bikini Lens Covers. Scope Rings not included.